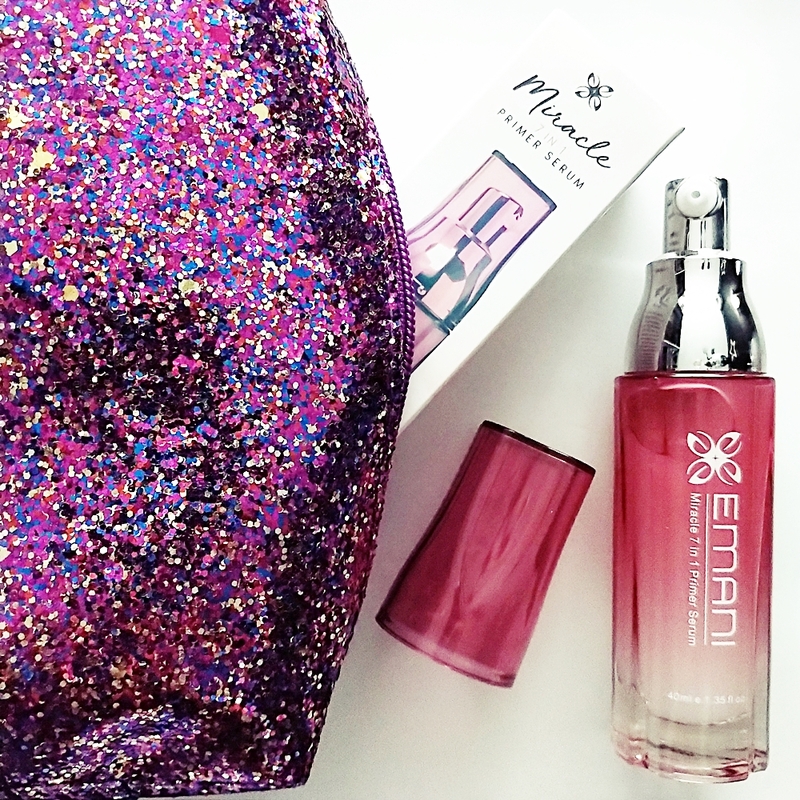 Home / SkinCare / Emani Miracle 7 in 1 Primer Serum. Meet the new skincare meets primer product that will benefit your skin, while also helping you to achieve a flawless makeup application. The emani miracle 7 in 1 primer serum expertly combines a super-anti-ageing serum and makeup primer in one to help benefit the skin on application, while also improving visible imperfections that may be seen. Visibly minimising fine lines, pores, and discolourations, the formula helps to improve circulation, tone, and the texture of the skin for a healthier looking complexion. Disclaimer: I received the product for review as part of a blogger program, this does not change my honest review in my blog posts. All links in black are not affiliated, they are used for you to find the product quicker. The emani miracle 7 in 1 primer serum is infused with a powerful ancient ginseng proprietary complex enriched with acetyl hexapeptide-8 that has water-binding properties and skin restoring abilities. The enriching ingredients in a light texture contribute to make this product an anti-ageing serum, moisturiser, corrector, brightener, pore refiner, and skin refiner that can be easily included in your beauty or grooming routine. 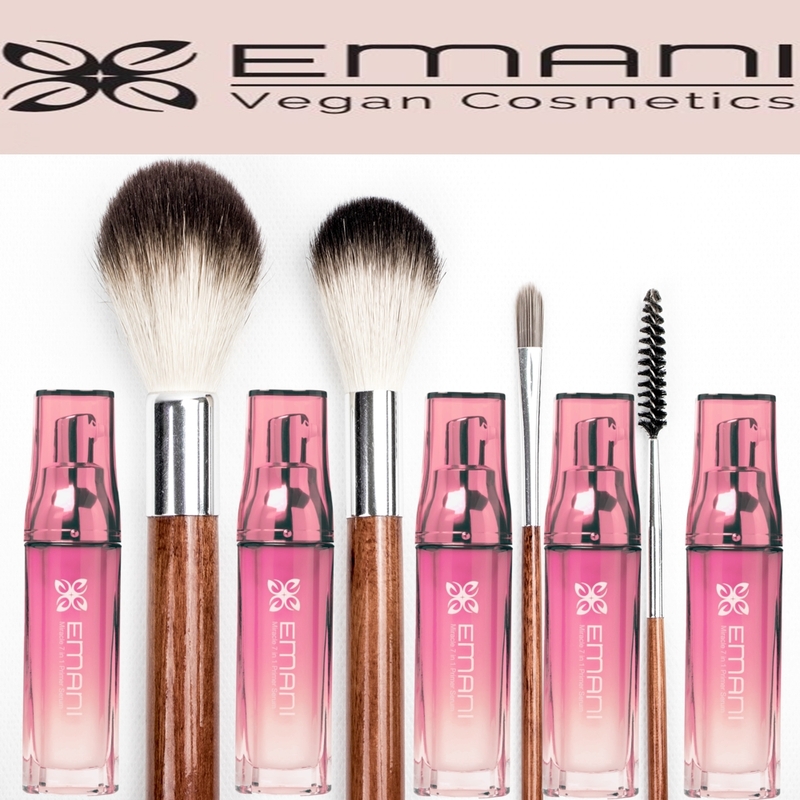 Containing no silicone's that are usually popular in primers to achieve that smooth feel to the skin, the emani primer serum is a great alternative for skin types that cannot tolerate dimethicone's, whilst you will not experience any flaking or piling off because of the 100% vegan, skin-benefiting ingredients. The versatile unisex primer is designed for daily use to offer a solution for problematic skin and to enhance your skins natural beauty. Applying on top of your moisturiser & sunscreen, or use to replace your moisturiser to prep the skin before application of concealer, foundation, or powders, the choice is entirely up to you. The product can even be used on those fresh faced days when your wanting a non-makeup look but still want a treatment for your skin to help and improve the complexion. Presented in a pink grooved bottle with a pump applicator, the serum can be easily dispensed to the amount you wish to use, while still being able to see how much of the serum is left in the bottle before you run out. Gliding over the skin easily on application, you may notice a natural fruity rose scent as the serum quickly absorbs to leave the skin feeling super soft and smooth, without any greasy or sticky feeling. Makeup applies better when your base is perfectly hydrated and primed, which is exactly what the emani miracle 7 in 1 primer serum achieves with added skincare benefits. Use the primer serum in your skincare regime or apply before application of makeup to experience the natural benefits it has to offer, X Neil.